Smartphonemagz.com - Google Pixel 3 was released back in November 2018 and its upgraded variant, 3XL, also debuted. There are people who feel pleased with this smartphone. However, just like any other product, there might be some limitations to it. Before joining the bandwagon of its buyers, you will get a lot of benefits from doing a little research. Reading a review of Google Pixel 3XL full specification will not only help in the decision-making process. It can also help user navigating its usage more effectively later. Some reviews stated that 3XL is one of the most polished lineups that this brand has ever produced. It certainly brings about the new design to Google product lineups, although might not be as radical as other brands. Even if it is priced higher than Pixel 3, it is still made of the same materials. Aluminum forms its frames, while the protective glass is made of Gorilla Glass 5. The overall dimensions of this phone are slightly bigger than its other variant. It is measured at 0.3 x 6.2 x 3.0 inches. The phone weighs heavier at 6.5 ounces. The difference also lies on the screen to body ratio. 3XL’s screen size is 6.3 inches with OLED technology. The bigger screen enables the phone to support a higher resolution in videos and pictures. It allows the user to utilize the phone more comfortably too. However, some users report difficulty in using the phone with a single hand. There is a big notch on the front side of this phone which receives less than favorable review from buyers. The platform of this phone is certainly improved. It is using Android 9.0 or Android Pie as an operating system. A processor that supports routine functionalities of this phone is similar to Pixel 3 which is Snapdragon 845. Graphics processor used in this phone is Adreno 630 which ensures colorful display. Buyer can choose whether to add a 64GB or 128GB internal drive to store data in many formats. Unfortunately, this phone has no microSD card slot which allows the user to add external memory. In order to access various parts of this phone, 4GB RAM is also supporting the device. Review of Google Pixel 3XL full specification still praises camera power that this phone has. On the rear side, there is a 12.2MP camera that can capture pictures and videos in ultra-high resolution. Dual cameras can be found at the front. These front cameras have a wide angle lens to allow user capturing selfies more widely. There are various high-level technologies too that buyer can find in this phone. It has fingerprint sensory on the back to improve the security system of your phone. The camera is also accompanied by an AI system that can modify moods and results of the picture instantly to achieve great results. 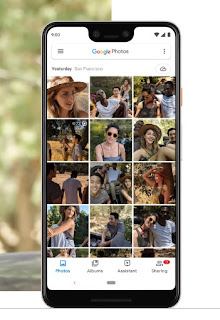 Smartphonemagz.com - In the midst of highly competitive smartphone market, Pixel 3 was released much to public’s excitement. Before the date of release, everyone was curious to see Google Pixel 3 full specification. You are going to learn everything that constitutes this particular smartphone from A to Z. Things related to the phone’s features, materials, and technology equipped in it will be discussed. The exterior frame of this phone is made of aluminum material. Its front and back parts consist of a material called Gorilla Glass 5. It is said that the material is capable of protecting the phone when being dropped from 1.6 meter high. The phone is given IP68 rating which means that it is capable of resisting water and dust up to some level. This phone weighs only about 148 grams because of its light material. 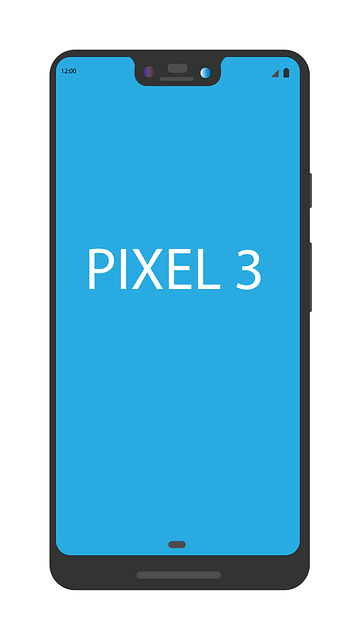 The overall dimensions of Pixel 3 are 5.73 x 0.31 x 2.69 inches. Compared to that measurement, the screen to body ratio is around 77%. The touchscreen is measured at 5.5 inches. Touchscreen technology equipped in this phone is called P-OLED. The screen is capable of processing around 16 million colors. Reading Google Pixel 3 full specification will not be complete without discussing its platform. Snapdragon845 is equipped as the chipset. The chipset works together with an octa-core processor to help this smartphone running. The operating system that is applied in this smartphone is Android 9.0 Pie. Graphics processor technology of this phone is Adreno 630. This phone is not packed with card slot for external memory. It has an internal memory capacity that can accommodate up to 128GB, although user needs to pay extra money to do that. The RAM size that supports the phone’s functions is 4GB. In terms of connectivity with other devices, this phone is equipped with wireless connection 802.11a/b/g/n/ac. Bluetooth 5.0 is also added to bridge connection with other Bluetooth-facilitated devices. This phone also has a GPS system with four different technologies: Galileo, BDS, GLONASS, and A-GPS. A 3.1 USB slot is also available for charging and data transfer. The camera is also considered an important feature in a phone. It has two 8MP cameras on the front side. One camera has ultra-wide feature while the other has wide setup. On the rear side, this phone has a 12.2MP camera. Panorama, auto-HDR, and double LED flash are featured in the camera. This camera enables video recording up to 2160 pixels in resolution at 30fps. Finger sensor has also equipped this phone. This feature is added to increase security since no one besides those whose fingerprints are listed can open the phone. This phone also has a compass, barometer, an accelerometer which are considered quite helpful. 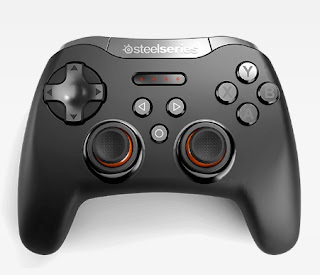 It has wireless charging quality too as long as supporting device is available. Smartphonemagz.com - Smartphone changes the way people interact and communicate with each other. You can use it for the basic communication, accessing internet, photography, video recording, gaming, shopping, etc. As similar to a computer or laptop, RAM is important to consider because it's related to capability. In the next section, you will find the list of the best smartphone with 6GB RAM in Australia as a reference to find what you want. Keep in mind that smartphone in this list is available in Australia market. You might think the particular products have to be on this list. However, they are not available due to several reasons, unless imported directly from other countries. What is the difference between S9 and S9+? In general, the features and specs are not different, except S9+ has the longer size. In term of RAM, Samsung gives a bigger capacity to support multitasking and gaming. You can do many tasks without lagging. Moreover, the processing is faster than its predecessor. Basically, this is a premium product from Samsung to fulfill everything you want from the best smartphone with 6GB RAM in Australia. You need 6 GB RAM at a smartphone to do many tasks. One of the top choices is OPPO F7 that considered the highest specs in OPPO products. Actually, the standard model only uses 4 GB, but 6 GB is available for advanced variants. Besides RAM, it also uses the camera with capacity 16 MP and 25MP pixel. That’s more than enough to provide high-quality photo and HD video. This smartphone relies on Mediatek as a supplier for its chipset. Large size, battery, and display are what you see from HTC U11. In order to support the functionality, HTC inserts advanced chipset and big RAM. This device uses 6 GB RAM that's capable to deliver fast processing with no delay. You can access many apps to do multitasking, even gaming. The battery capacity is 3000 mAh. Another top choice as the best smartphone with 6GB RAM in Australia is Huawei P20 Pro. Bigger RAM delivers advanced processing, particularly if you access many apps at the same time. The design adopts a bezel-less approach that looks artistic, but very functional. One key feature is a camera with capacity 40 MP that shows smartphone prowess in photography and video recording capability. Samsung has several products with the RAM capacity of 6 GB. One of them is Galaxy Note 8. It uses bigger RAM to support its specs. Besides, the screen size is very large to deliver vivid graphic alongside its ultimate chipset. The standard OS is still Android 7, but you can upgrade to the new version. Smartphonemagz.com - Many smartphones start to adopt the recent technology to fulfill what users want. In order to do that, manufacturers give more storage, advanced chipset, and big memory. As the result, you can do many tasks from the simple to heavy process. All of them require long battery life to stay awake as long as possible. In the next section, you will see the best smartphone battery life in Australia with big capacity in the market. Before exploring one by one, keep in mind that capacity is not just the key factor to prolong the battery life. Smartphone with big battery has a high probability to stay longer. However, the new chipset and processors are more efficient in energy consumption that reduces unnecessary battery usage. Another factor is how long the smartphone in your hand. The brand new device still has fresh capacity without depreciation. One of the top device as the best smartphone battery life in Australia is Huawei P2 Pro. This smartphone has more than fancy and elegant design because the manufacturer gives a big battery capacity of 4000 mAh to prolong its utility period. The fully charged battery will last at least 15 hours at moderate utilization. Of course, it might be longer or shorter depending on what you do. However, this smartphone is considered on the top list because it's capable to handle heavy task efficiently. 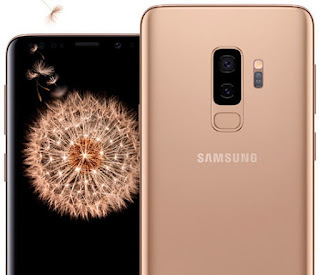 There two variants of Galaxy S9: standard and the plus one. Galaxy S9 Plus answers what people want, including the big screen, vivid graphic, efficient battery, and sophisticated technology. You can play the game or do multitasking with many apps simultaneously as it provides the battery capacity of 3500 mAh. For gaming, the battery is an important factor than the other specs. Razer Phone is a smartphone specifically for gaming with 4000 mAh as battery capacity. This product seems not popular because it's only marketed at the specific segment. However, you can have and use it as similar to other phones, except more efficient in term of battery life. That’s why Razer Phone becomes the part of the top and best smartphone battery life in Australia. Asus entered the smartphone market with a Zenfone series. To attract consumers, Zenfone introduces a new model with big battery capacity. Zenfone 3 Zoom is dedicated for users who want the longer battery to handle any task. Its battery uses 5000 mAh that can last more than 15 hours. The specs of this phone might seem lower than a premium segment, but it's excellent in battery life. Another smartphone with 5000 mAh battery is Moto E4 Plus. 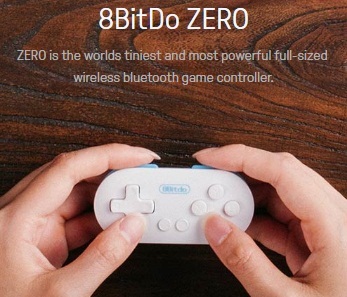 The device is enough to fulfill your task longer than the average phones in the market. It is not a premium segment because the price is affordable. 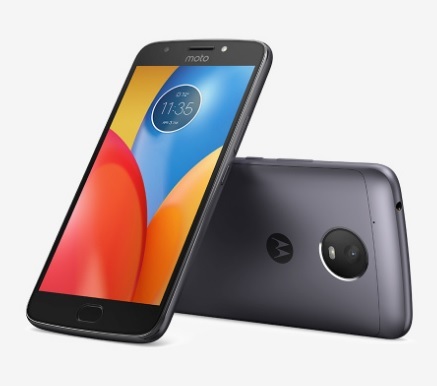 However, the battery is the top advantage that people like to consider for choosing Moto E4 Plus. Smartphonemagz.com - The camera becomes the key feature in smartphone due to its functionality and technology. People use it to capture photo and video. You do not have to buy camera device separately because smartphone provides everything. The best smartphone for video recording is not only about high pixel level, but also the technology and supporting the feature. There are top smartphones for video recording. Let's check them below. Since its inception, Galaxy turns into the top brand in the smartphone market. Samsung expands this series to several products. In the highest category, the S series is what you need when looking for the best smartphone for video recording. New Samsung Galaxy S9 and S9 Plus use the cameras with capacity 12 MP and 8 MP at rear and front respectively. The camera is capable to record video up to 4K quality. As you know, this is the highest level in the video industry that's better than UHD mode. Moreover, several features are integrated into the camera to support video recording. When discussing the best smartphone for video recording, the iPhone is always on the list. Apple created iPhone that formulated what smartphone should have. Today, iPhone X is the critical point in this product because of a completely different appearance. With the new camera, this smartphone is capable to record a 4K video for a longer period. Several features increase video quality that's similar to the video recorder. Photography and video recording are not issued anymore due to the 12MP rear camera and 8MP for the front camera. One reason why Android becomes popular is Google. At first, Google introduced Android as an open source platform for smartphone vendors. Google could modify it to suit the smartphone platform. Vast growing market in this industry induced Google to release its own products. Recent Google Pixel 2 XL gives advanced technology in hardware and software sectors, including the camera. It has stabilization to record a fast moving scene without blurred effect. Another choice of the best smartphone camera video is Sony Xperia XZ1. Sony was a little bit late to enter the Android market. However, Xperia is not just a regular series because Sony gives an ultimate feature to boost its capability. In Xperia XZ1, you can record video then choose between the old and new codec. One camera is not enough to give the best video recording. That is why HTC adds a dual camera at the rear of HTC U12+. It has 12 MP and 16 MP cameras to boost video quality. This smartphone also uses the dual camera for front one with 8MP level. Besides the above smartphones, there are many principal manufacturers and brand with advanced camera technology. Which one is the best of all? In general, you can look into a premium segment where the specs are at the top tier level. Smartphonemagz.com - When it comes to buying a new cell phone on the market, the chance is customers wish to get as much information as they can. Whether it is from websites, catalog, magazine or other sources, gaining sufficient information helps you decide which smartphone is the best. Among all, going online becomes the most preferred solution to get any information. That is why there are plenty choices of the best smartphone comparison website to go. Aside from allowing you to acquire desired information, those websites are also easy to access. As the name suggests, the comparison websites focus on delivering comparison between specific smartphone brands. Instead of comparing random smartphones, the reliable websites should be able to determine the types, specifications, and lineup. It will be ridiculous to see the comparison between smartphones with totally different specifications and classes. Furthermore, reliable smartphone comparison website must be able to deliver reliable information according to research. Considering the necessity to analyze each smartphone before purchase yet it is quite impossible to do it by yourself, the existence of comparison website helps open your eyes. Through the comparison websites, you are able to determine whether or not a certain smartphone is suitable for you and your lifestyle. There are several reliable and best smartphone comparison website to get smartphone comparison. According to its name, this website specializes in comparing things including smartphone, universities, applications, even cities. 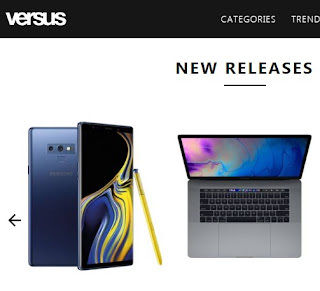 Versus.com is recommended comparison website to help you find out the specifications of the certain smartphone along with its position compared to the other cell phone in its class. This website provides more than 7 million comparisons, allowing you to get as much information as you desire. To take benefit from this site, you only need to go to the search box. Type your desired smartphone brand vs another brand that you want to compare and start searching. Wait for a while and you will find many articles containing smartphone comparisons as you want. Those living in India can access Buyhatke to compare smartphones. Unlike the other websites that only compare two phones, Buyhatke gives you more. This kind of the best smartphone comparison website provides a comparison of 4 great smartphone brands at once. It makes everything easier to find any information related to the phones. It is possible to find the champ from the comparison. This popular and best smartphone comparison website has been helping thousands of customers out there to find the best smartphone. Gsmarena is known as the widely accessed comparison website throughout the world. It makes sense considering this site provides a lot of information related to a smartphone. Offering detailed information, GSM Arena helps the visitors to open their eyes to the latest and best smartphone options. The side by side comparison is quite easy to understand, not to mention the interface to offer nice browsing experience to the visitors. Even though not as popular as GSM Arena, Gadget Snow is another reliable comparison website to go. This website provides a nice experience for the visitors to compare desired smartphones. Gadget Snow will explain detailed specifications of compared phones along with its price and rating. This is what you need to know before deciding to buy a specific smartphone.